I received Custom Crops newsletter on 17 October 2013 that they are having a Fiskars Sale! Well, I always wanted a new or proper craft paper trimmer to replace my current trimmer which I deem not so professional (in card making). My ideal wishlist is Fiskars! Thus, I quickly pop over to Custom Crops to check the trimmer that I want. 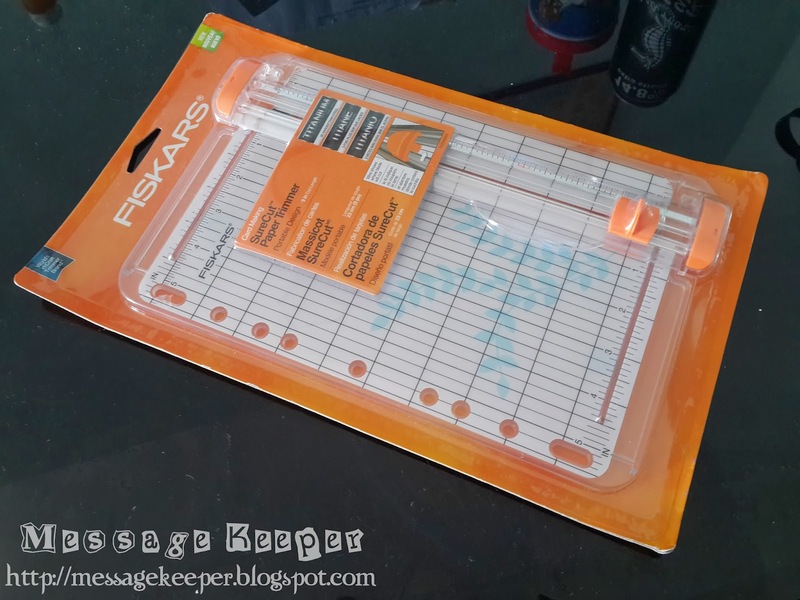 I am wishing for either Fiskars SureCut 12" Deluxe Paper Crafting Trimmer or the Fiskars SureCut 9" Card Making Paper Trimmer as recommended by Jennifer McGuire in her 'Favourite Trimmers' video. The prices that offered by Custom Crops indeed quite cheap. On a non sale period, most of the Custom Crops' prices are already below Manufacturer's Recommended Sale Price (MRSP). With this sale, the prices are below the regular price that Custom Crops usually offer! After much consideration on item price, shipping cost and its usability, I finally settle for Fiskars SureCut 9" Card Making Paper Trimmer. 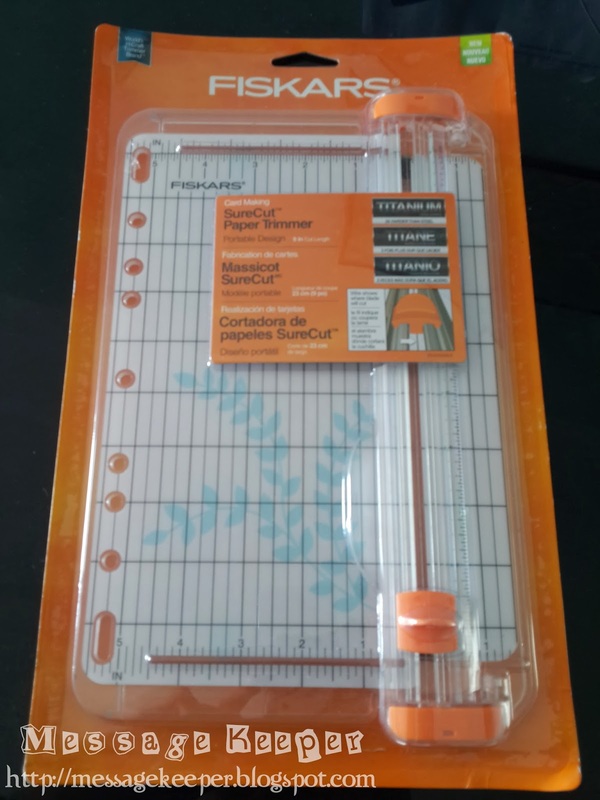 I did not select Fiskars SureCut 12" Deluxe Paper Crafting Trimmer because both the item price and shipping cost are higher - almost 50% higher. I made my payment on 20 October 2013 and the item was shipped 4 days afterward. A week later, my new trimmer has arrived! I always like Custom Crops shipping as it takes about a week plus to arrive to my doorstep. Chalkboard Style Thanks For A Great Year!